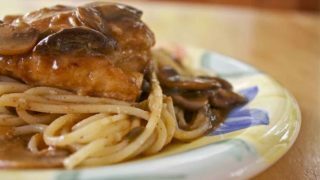 Chicken Marsala is one of those dishes that you have to have a really great version of in your back pocket. 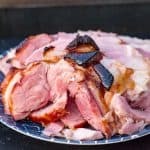 This one originated with my awesome mother-in-law, and it is sure to impress! This is one of my favorite meals. I don’t eat it often. It’s a special occasion kind of meal. Not only is it pretty labor-intensive to make, it’s also about 8000 calories per tsp. 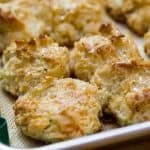 It has 1.5 – 2.5 STICKS of butter in this recipe. If that doesn’t scare you away, nothing will. 🙂 If you can spare a cheat day for a special meal though, this should be it. I’m not sure who came up with this particular recipe, originally. I sure am glad they did though. 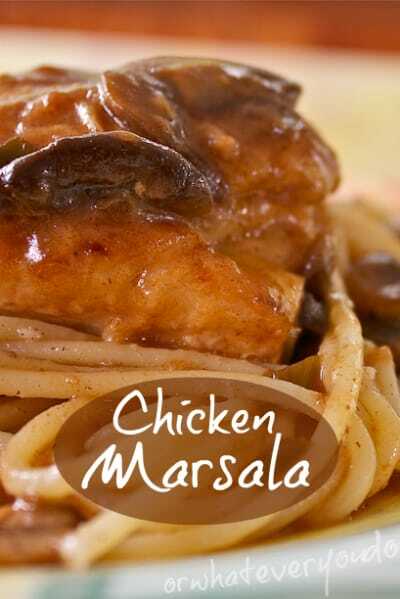 I’ve tried Chicken Marsala at a number of different restaurants, and none of them come close to this. Don’t even SAY Olive Garden or I will be forced to reach through this computer and slap some sense into you. I have not tried it, nor do I know if they serve it, at a Spaghetti Factory. I’ve never been there. Seeing as how pasta, and specifically spaghetti, have always been my favorite food, this is kind of a mystery to me. 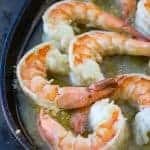 Start out by melting the butter and tossing in some oil into a large pan. 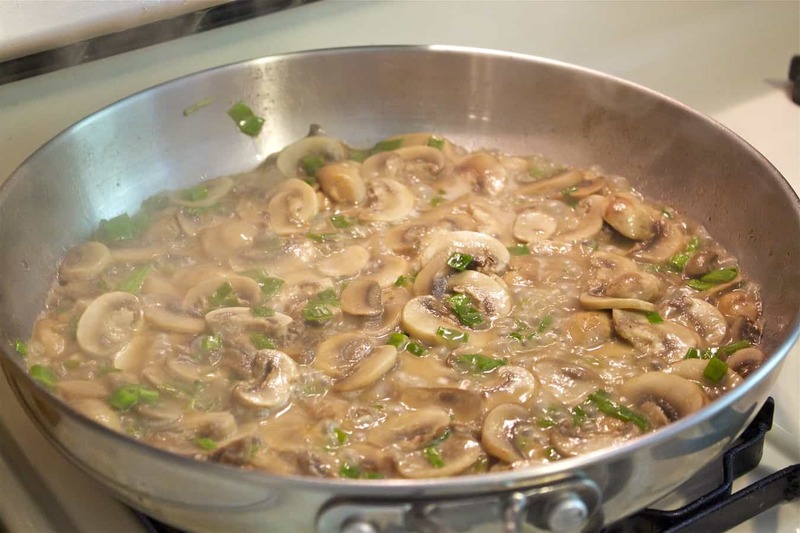 Put in the sliced mushrooms and green onions, and cook until the water from the mushrooms is released and cooked off, and the mushrooms are beginning to brown. This is how I like to keep the mushrooms. It lets the excess butter/fat drain out, so I can add it back in while the chicken is cooking. You’ll need it. You don’t HAVE to do this. It’d be just as good if the mushrooms were kept in a bowl or on a plate, but this is what I do. 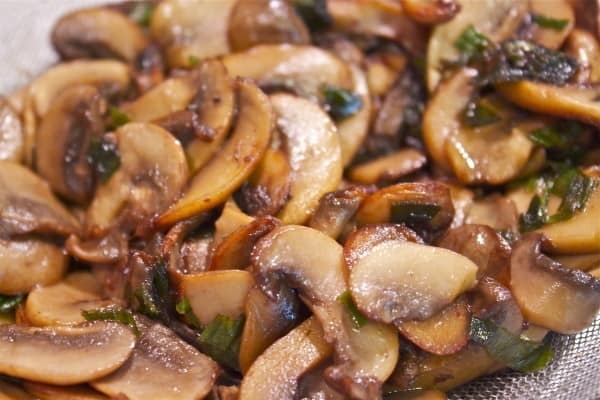 Here’s a close up of the mushroom after they are cooked. I had to stop myself from just taking spoon-fulls and eating them. I was a mushroom hater for most of my life. I’m making up for it now. 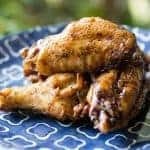 Brown the coated chicken. Add more butter/oil as needed. You want as little oil as possible, but it helps keep the butter and bits from burning. Excuse the raw chicken picture. Not appetizing, I know. I wanted to show you the foam though. The butter/oil mixture will do this after a bit. Keep a CLOSE eye on it. 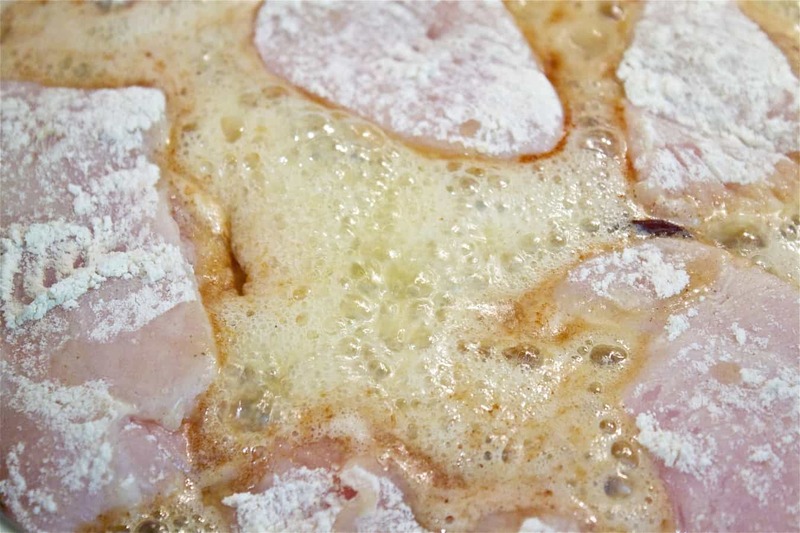 Make sure your temp is high enough to cook and brown the chicken well, but not hot enough to burn the butter and bits of flour/flavor that are collecting on the bottom of the pan. Close-up of cooked chicken, set aside. 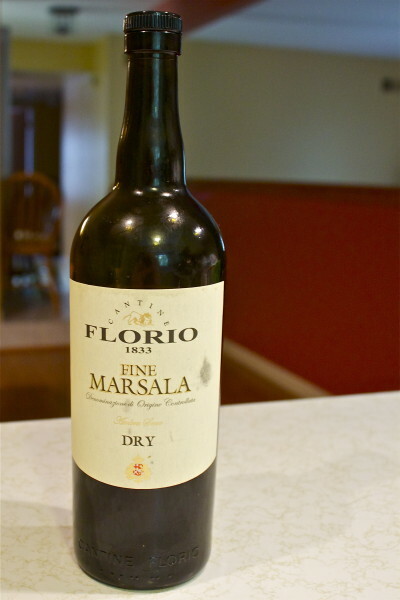 Get the best Marsala that you can. I like dry. Sweet would work too, but the flavor will definitely be different, and, well…sweeter. This bottle wasn’t terribly expensive. Under $13.00 I believe. More than I spend on my own drinking wine usually, but its worth it! Here is the whole mixture cooking down. 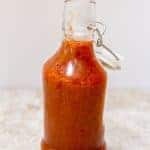 The sauce will be thin when you first add everything back into the pan. Once it simmers about 20 minutes it’ll thicken up from some of the flour coating that it steals off the chicken. A delicious, amazing, good thing. 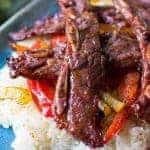 If for some reason it does not thicken up don’t be afraid to use a little cornstarch slurry (cornstarch + cold water, mixed well and pourable consistency) to get it where it needs to be. Butter, browning. See those brown bits rising to the top? WATCH it! It’s almost there. Swish it around a bit to keep an eye on it, remove just after you think you need to. Improperly browned butter just tastes greasy. Well-browned butter tastes…well…just do it. Its unique and really adds a whole new dimension to the pasta. The finished product, just before I dove in head first and gained 5 pounds just smelling it. 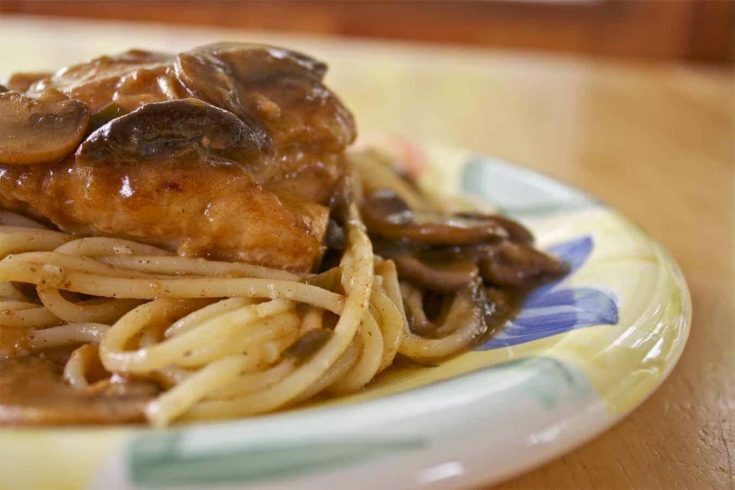 Homemade chicken marsala! 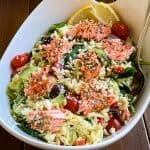 This is better than any restaurant version you can buy! Rinse, trim fat, and pound to 1/2 inch each chicken breast. 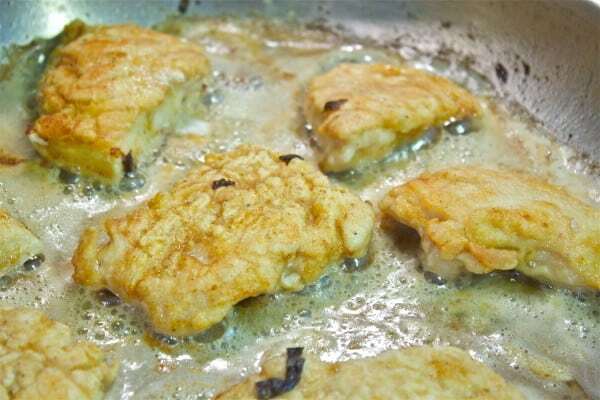 Slice into cutlets and set aside. Melt 1/2 stick of butter and 2 Tbsp vegetable oil in a large skillet. Heat over medium-high until butter is melted. Add mushrooms and green onions. 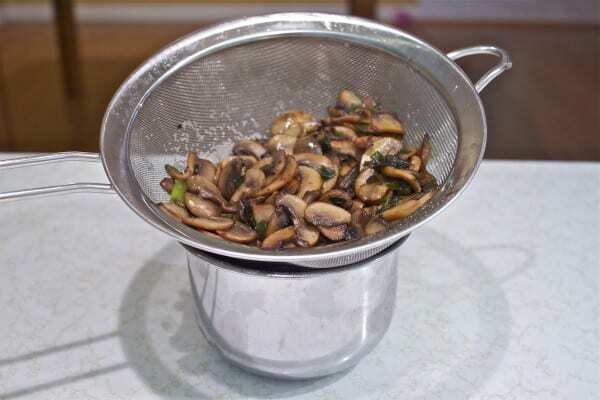 Saute over medium-high heat until water is cooked out of mushrooms and they are starting to brown. Remove from pan and set aside. Add another 1/2 stick of butter to the pan. Add more oil if necessary. The oil helps the butter not to burn. Also start your large pot of boiling water for the pasta at this point. Combine flour, marjoram, salt, and pepper in a medium bowl. 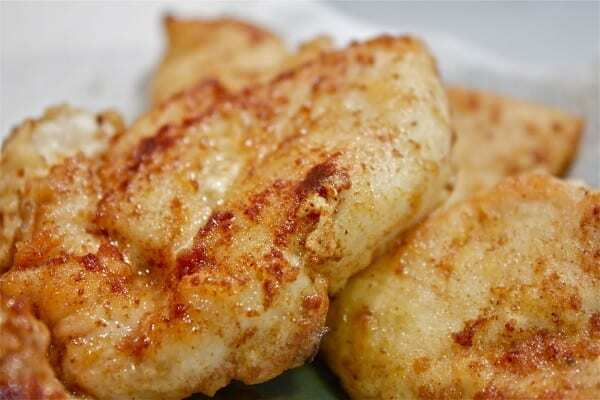 Lightly coat chicken breasts in flour and place in a single layer in frying pan over medium heat. Allow to brown on both sides. Remove and repeat with remaining breast cutlets. Remove all when done, leaving behind the butter and brown bits in the pan. It is okay if there is a bit of pink in the middle. They will cook more in the sauce at the end. 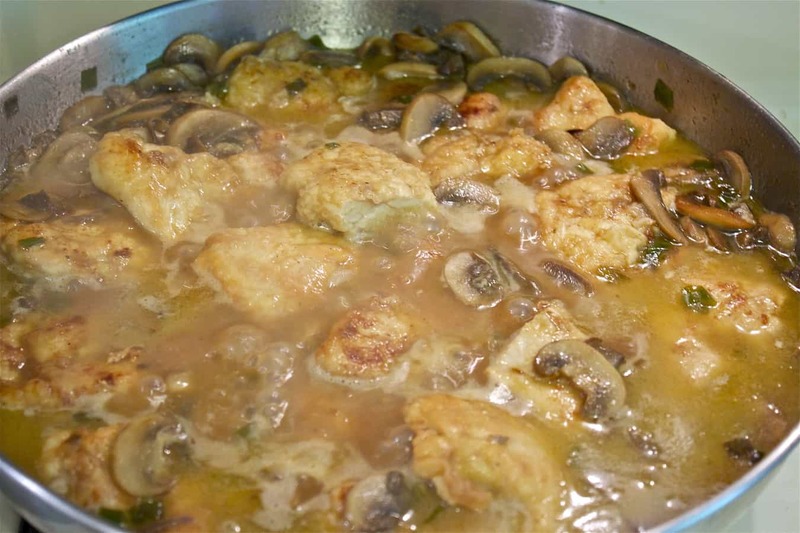 Add Marsala and let simmer for approximately 1 minute. Add chicken broth. Stir to combine and add in mushroom/onion mixture and chicken breasts. Stir a bit and then let simmer over medium-low heat. Cook until sauce is thickened, approximately 20 minutes. 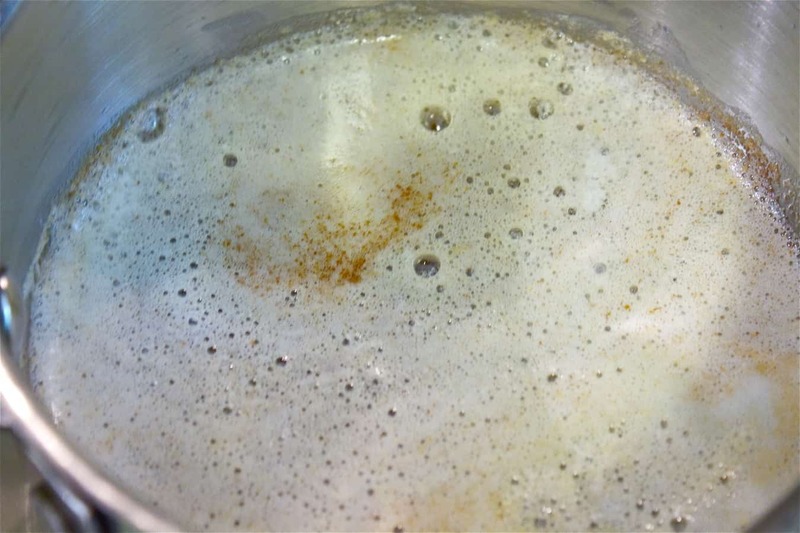 While your sauce is simmering and thickening is the time to start your brown butter. In a small pot melt 1/2 stick of butter over medium heat. Don't touch it, but watch it carefully. It will start to bubble, foam, and under that foam it will start to brown. Brown well, removing from heat just before you think it'll burn. If you under-brown it you end up with greasy pasta. 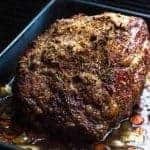 If you brown it well you end up with little bites of heaven. When pasta is done, drain well and toss with browned butter and grated parmigiano reggiano or myzithra cheese.